Black mulberry is a fast-growing, rounded deciduous tree with inconspicuous flowers and edible fruits. The flowers are pale green and tiny and appear in clusters that produce bead-like fruits attached to a fleshy core in an oblong cluster. The clusters go from red to black as they mature, and resemble blackberries, but are only mildly sweet and flavorful. Planted mainly for shade and its tolerance of hot, dry conditions, black mulberry is also valued by some gardeners as a pie fruit and as food for birds. A mature tree produces huge numbers of fruits which fall when ripe, so avoid planting the tree along paths, paving, patios and decks. 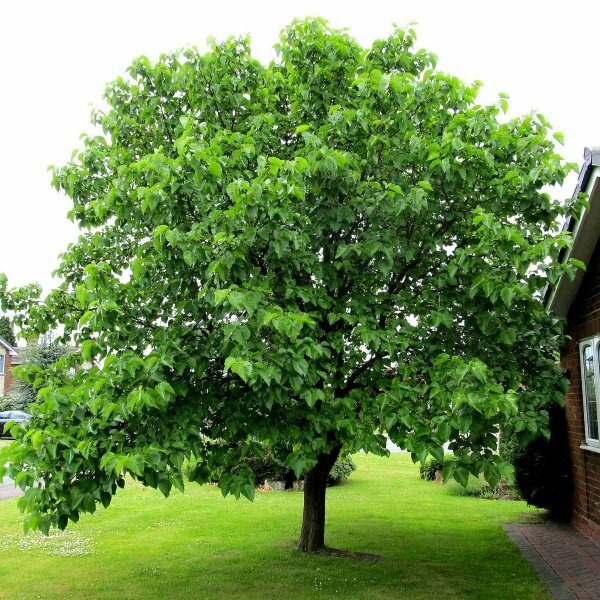 The tree is prone to diseases which disfigure its handsome heart-shaped leaves. It is also a weedy tree, producing many seedlings. Stratification: Cold stratify for 90 days. Place the white mulberry seeds in a plastic bag with the moist vermiculite or steriler soil/sand and seal the bag. Place the bag in a refrigerator at 40 degrees Fahrenheit for two to three months. 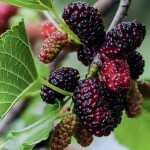 -Fill a seed tray with rich loam and sow the white mulberry seeds onto the soil. Place the tray in a greenhouse. The ideal temperature for germinating the seeds is 86 degrees Fahrenheit during the day and 68 degrees Fahrenheit at night. White mulberry seeds germinate in one to two weeks under ideal circumstances. 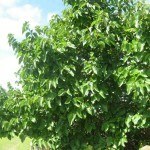 -Select a planting site for the white mulberry seedlings. These trees prefer fertile soil with good drainage. 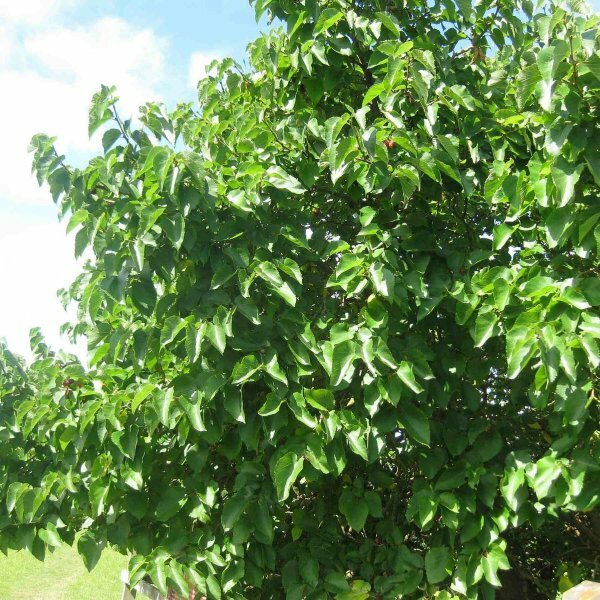 White mulberry trees grow best in partial shade, especially during the afternoon in warm climates. 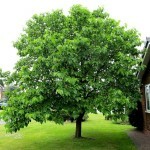 -Remove the white mulberry seedlings from the seed tray when they are large enough to handle. Plant the seedlings in the permanent planting site, spacing them about 15 feet apart. -Apply a 1- to 2-inch layer of mulch around the seedlings to retain moisture. Water the seedlings as necessary to ensure they get at least 1 inch of water per week during the growing season. White mulberry trees are drought-resistant as long as their roots do not dry out. 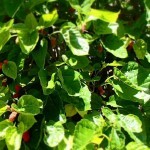 -Provide an annual application of 10-10-10 fertilizer in the spring if the white mulberry tree is in poor soil. These trees generally do not require fertilizer when they have good soil (the type indicated in Step 4).